Have you ever had the pleasure of visiting St. Croix? It’s one of our favorite islands. When you’re looking for a tranquil, relaxing Caribbean vacation, pack your bags and head to St. Croix. Featuring spectacular cerulean waters, a diverse culture and plenty of thrilling adventures to get into, this island is truly a “one-stop shop” for everything you love about a vacation. If you’re a U.S. citizen, you won’t even need a passport! 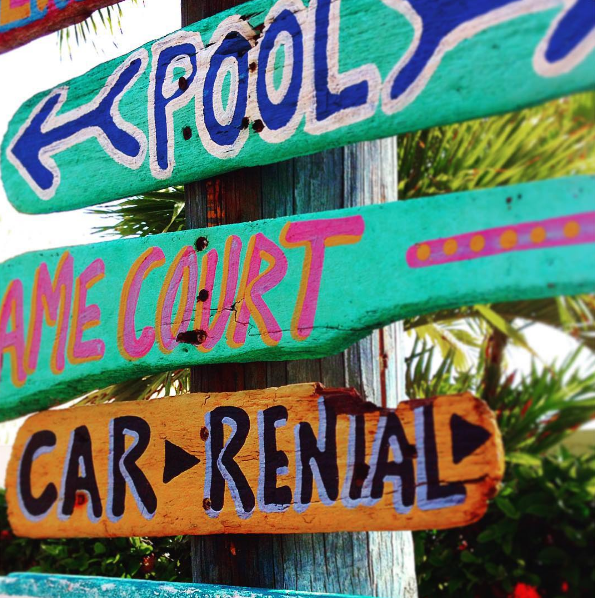 St. Croix is part of the U.S. Virgin Islands, making it easy for you to simply pick up and go. 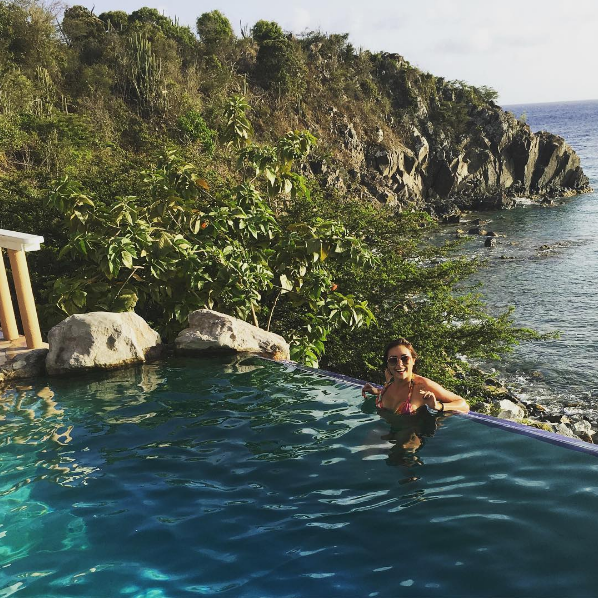 This beautiful, laid-back island offers mild temperatures year-round, with the average being around 80 degrees F. During a typical year, the “coldest” day of the year is January 26, with an average low of a pleasant 73 degrees F.
Experience the unique culture and history of St. Croix. Strong Dutch influences are noticeable in the striking and colorful architecture. The island is well-known for hosting a wide variety of arts, crafts and music festivals. 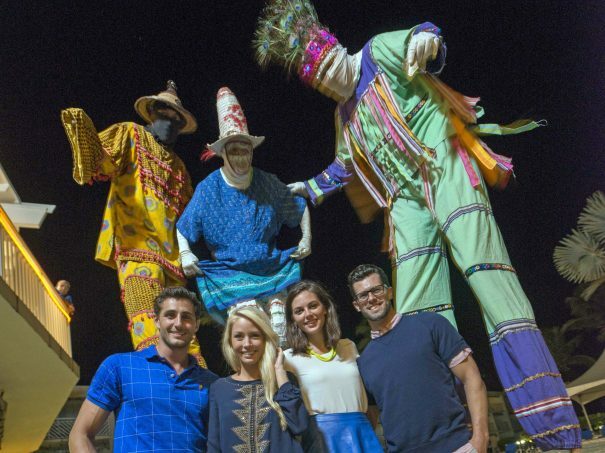 A few of the island’s most popular cultural events are the Taste of St. Croix, the monthly Sunset Jazz Festival and the month-long Crucian Christmas Festival, featuring dancing and parades. 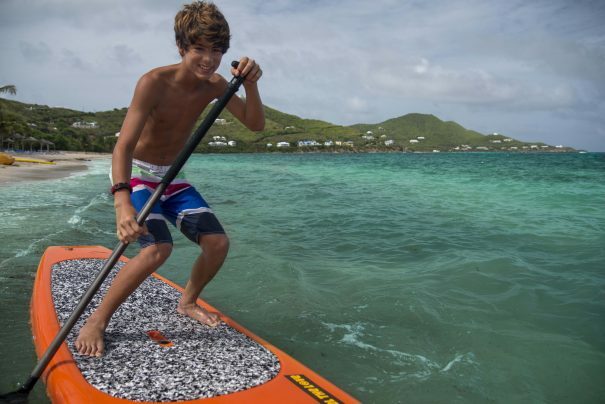 Visitors enjoy a wide variety of water sports, including wind surfing, snorkeling, scuba diving among stunning coral reefs, kayaking the crystal-clear waters, or fishing. For the land lovers, St. Croix offers plenty of shopping opportunities in the delightful towns of Christiansted and Frederiksted, as well as world-class golfing at one of three scenic golf courses. If you’re in the mood for an adventure, consider taking a historical tour or a hike in the St. Croix rainforests. Divi Carina Bay All-Inclusive Beach Resort & Casino is the only all-inclusive resort on St. Croix. 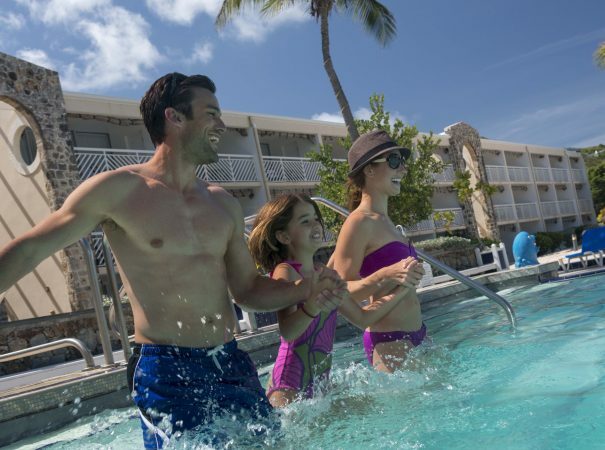 Our guests enjoy countless deluxe amenities including world-class dining, lively entertainment, tennis, mini-golf, non-motorized water sports and easy access to St. Croix’s only casino, Divi Carina Bay Casino. You’ll never be at a loss for activities here, unless, of course, nothing is what you want to do. And there you have it. In St. Croix, it’s easy to find all the right ingredients for a Caribbean vacation of a lifetime. You really need to come see it for yourself! Rule number one of diving: always have a dive buddy. It’s pleasant enough to dive with someone you’ve just met on the dive boat, but your experience can be so much more fun and enriching when your dive buddy is someone you already know. And if your romantic partner is also a diver—well, you’re lucky indeed. PADI has published a blog post recommending some gentle ways that divers can persuade a non-diving significant other or friend to enroll in a certification program. Keeping in mind that non-divers will most likely enjoy the process more if they come to it on their own terms, the dive organization recommends visiting an exotic location where the underwater life is abundant and the water is clear and warm. That sounds a lot like Bonaire. 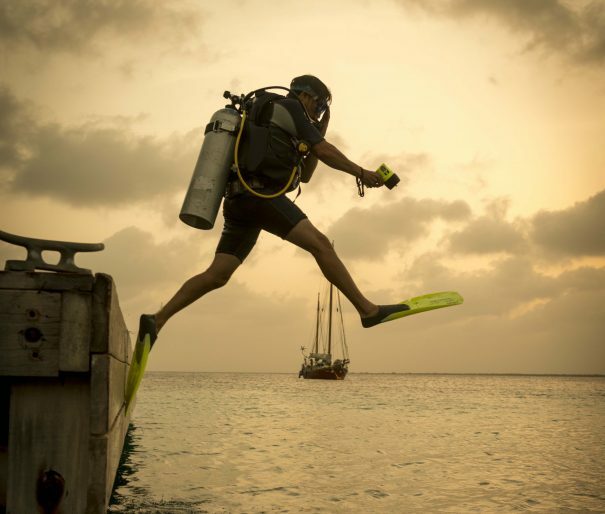 The small Caribbean island is known for its world-class, yet easily accessible diving. Bonaire is the perfect setting to learn how to dive, and it offers plenty of exciting dives for more experienced divers as well. 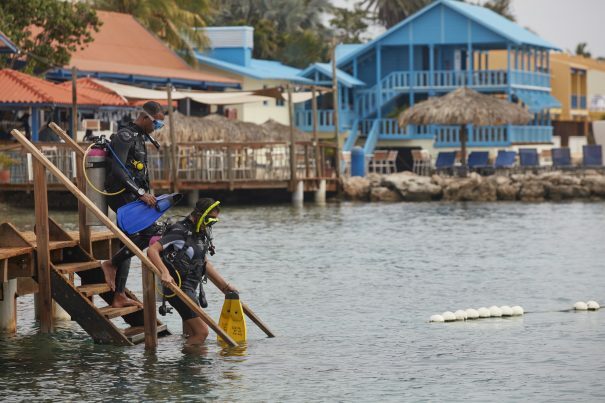 Divi Dive Bonaire at Divi Flamingo Beach Resort teaches certification courses for all levels, and provides a wide variety of boat diving, shore diving, and truck diving packages. Shore diving is accessible 24 hours a day, 7 days a week—just grab your tank from the end of the pier and dive morning, noon, or night. Your partner can get certified, and the two of you can enjoy your first dive together in one of the best and most beautiful dive spots in the world. Check your preferred dates for availability and search the best available rates for Divi Flamingo Beach Resort at this link. Divi Resorts is currently offering a 30% off promotion—don’t miss this opportunity to explore Bonaire’s underwater paradise with your partner! It’s Aruba Restaurant Month, and we’re celebrating throughout October at Divi Resorts. In addition to the special menus on offer throughout the month at Windows on Aruba and pureocean, Windows on Aruba is hosting the award-winning New York chef Seamus Mullen for a one-night-only dinner on Friday, October 14. Chef Seamus is a chef, restaurateur and cookbook author who is best known for his inventive yet approachable Spanish cuisine. He has appeared on the Food Network’s The Next Iron Chef, as a featured judge on Chopped and Beat Bobby Flay, and as a guest on The Today Show and CBS’s This Morning. 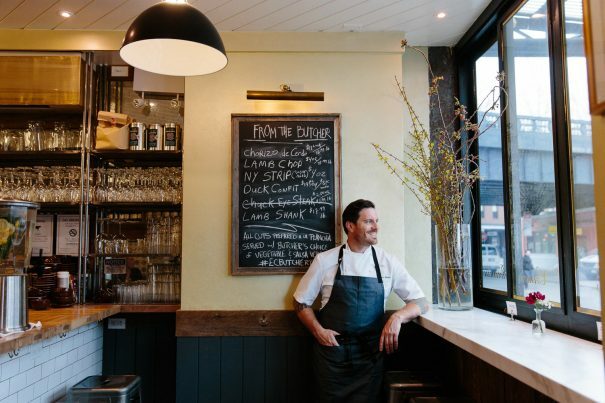 Seamus opened his first solo restaurant Tertulia in Manhattan in 2011, which was awarded two stars from The New York Times, and was named a finalist for the James Beard Foundation Award for Best New Restaurant. In 2013, he opened El Colmado, a Spanish tapas and wine hall in New York’s Hell Kitchen. He has been named a semi-finalist for Best Chef New York City by the James Beard Foundation three years in a row. The VIP dinner at Windows will feature a prix-fixe menu created by Chef Seamus. Each course will be paired with a different wine from the restaurant’s extensive selection. The dinner will be available at a rate of $120 per person. Advance reservations are required, and can be obtained by emailing clubhouse@diviresorts.com or calling 297-523-5017. Chef Seamus will also make an appearance at the 2nd Annual Bartender’s Brawl the following day, Saturday, October 15. The event is hosted beachside at Divi Aruba All-Inclusive Beach Resort, and is also part of Aruba Restaurant Month. Interested in visiting the island during Aruba Restaurant Month? Take advantage of last-minute deals on October stays at participating Divi Resorts! 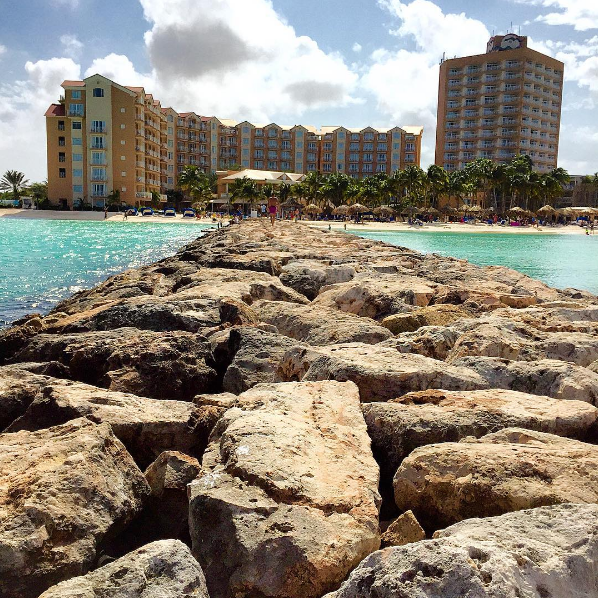 Enjoy 30% off accommodations—as well as complimentary breakfast for two—at Divi Aruba Phoenix Beach Resort, Divi Dutch Village Beach Resort, and Divi Village Golf & Beach Resort. Find details on the special offer here, and details on Chef Seamus’s VIP dinner here. 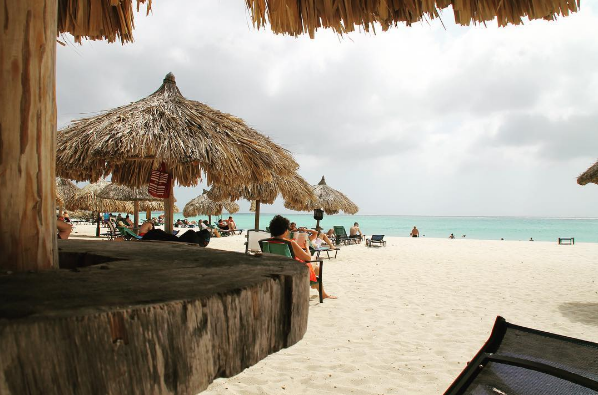 Windows on Aruba is located at Divi Village Golf & Beach Resort.